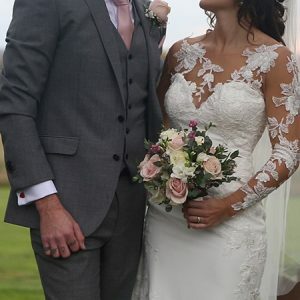 Tate & Craig were married at Crockwell Farm a specialist wedding venue in Northamptonshire. Situated in idyllic rural surroundings next to the Oxfordshire and Warwickshire borders. Tate’s bridal preparations were taking place at Crockwell Farm on the morning of her wedding and so when I arrived I was able to catch a few shots of her having her make-up and hair done along with shots of her mother and bridesmaids. They were very relaxed in their room before moving to the Dryden (a purpose built room for bridal preparation at the back of the ceremony room) just before Craig and the groomsmen were due to arrive. Craig arrived with his best man, in plenty of time to greet their guests as they arrived. They looked very smart in their grey suits and Craig only looked a little nervous! As always the staff at Crockwell Farm were on hand to ensure everything ran smoothly and everyone knew where they needed to be. Although there is an outside ceremony venue at Crockwell Farm the weather was not kind enough to let us use it so Tate and Craig were married in the inside venue, which is a beautiful barn room with exposed brick. It was a lovely ceremony conducted by Northampton registrars. After the ceremony the guests went back into the bar area whilst we took Tate and Craig off for a short photoshoot, making use of the stunning grounds at Crockwell Farm. There are so many places to get the couple to relax and get great footage of them enjoying each others company. Once we’d shot everything we wanted Emily Hawnton Photography began setting up the formal family photos whilst I dipped inside to get candid shots of the guests enjoying the drinks reception. 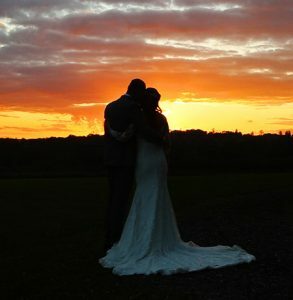 We were so lucky to get a beautiful sunset so (after consulting with the staff) we sneaked Tate and Craig out of their wedding breakfast to capture a some film of then watching the sun go down on their wedding day. The speeches were an emotional affair with Tate’s mum telling some emotional and funny stories about Tate growing up and how her ang Craig met. We then got into the evening reception, getting people on the dancefloor to enjoy the first dance and then partying on into the evening. 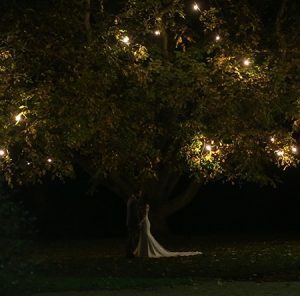 Normally this is when we would leave, however, no Crockwell Barm wedding film is complete without a few shots of the couple under the trees with all of the outside lights on which look so magical. I think that you can agree it was well worth it and the couple really enjoy it as it is a great chance to get a few moments to themselves. As always we had a great day at Crockwell Farm, Tate and Craig’s guests were well looked after by the staff and everyone really enjoyed themselves. 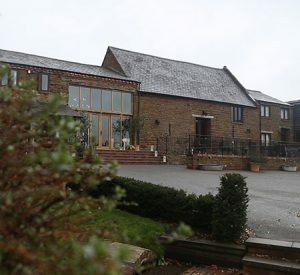 It is a stunning venue which offers everything you’d want from a barn/marques venue. If your looking at venues I’d definitely add it to the list!